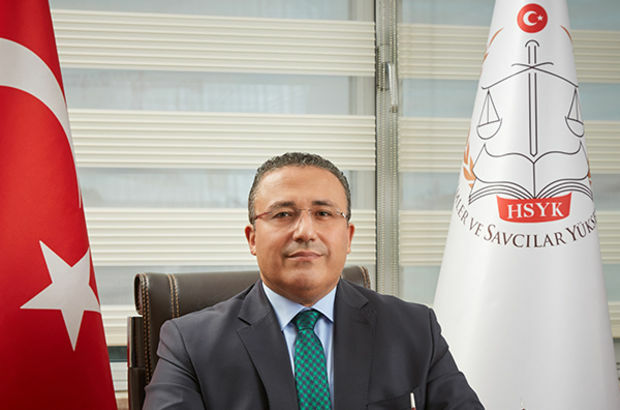 Deputy chairman of the Supreme Board of Judges and Prosecutors (HSYK) Mehmet Yılmaz has said judges and prosecutors who have been suspended from their posts due to their alleged links to the faith-based Gülen movement may return to their posts if they become informants. Thousands of judges and prosecutors have been suspended by the HSYK while many of them have been detained or arrested on the grounds that they have links with the Gülen movement, which is accused by the Turkish government of masterminding a failed coup attempt on July 15. He added that any privilege will be granted to those who make confessions about the activities of the movement. Yılmaz also explained that there is a list of around 1,000 prosecutors and judges whose names are mentioned in others’ confessions and notices received by the police as having links to the Gülen movement. “We call on them to benefit from the Repentance Law. The number of those who want to benefit from the Repentance Law has increased particularly after the emergence of lists of people using ByLock. I believe it will increase further from now on,” he said. According to the prosecutors, smart phone application ByLock is the top communication tool among members of the Gülen movement. Critics, however, have blasted the government for detaining thousands simply for using a mobile application. New detentions are being made every day according to newly-emerging lists of people using this application. In a similar development, state of emergency offices established at governor’s office across the country have called on public employees who have links with the Gülen movement but want to part ways with it to benefit from the Repentance Law, according to a story in the Cumhuriyet daily on Friday. The public employees are required to make confessions about the movement in order to benefit from the Repentance Law. The Turkish government declared a state of emergency in the aftermath of the July 15 coup attempt.